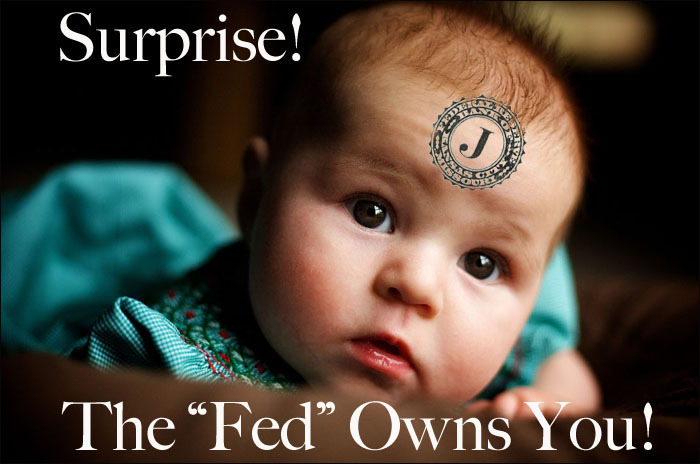 YOU DON’T OWN YOURSELF – THE FEDERAL RESERVE DOES. When I looked at my own Birth Certificate, I noticed it was a copy of the original. So I went through old boxes and baby books that my Mom had saved before she died and found what I was looking for — my original Birth Certificate. It was brittle and yellowed with decades of age but — wow — it was NOT the original! What I have learned since is kind of like discovering that you are part of the Matrix. 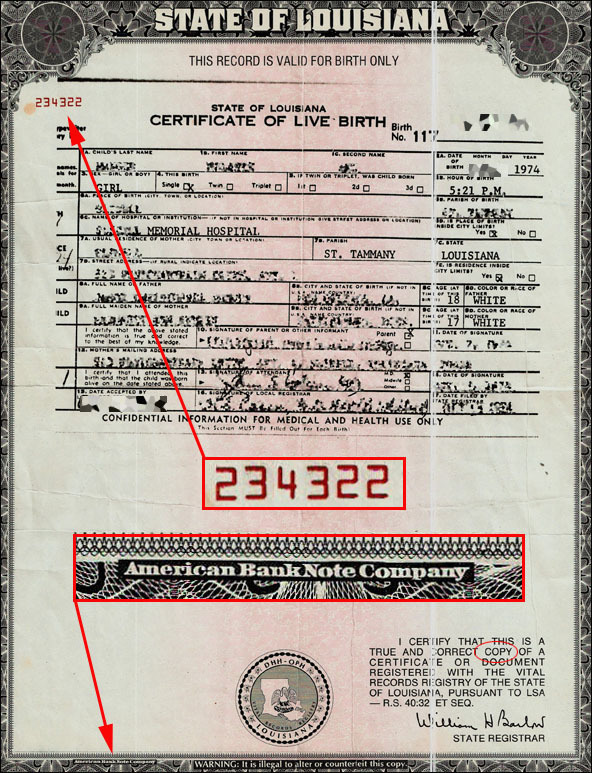 It seems none of us have our original Birth Certificates — they are all copies. And the copies have a serial number on them, issued on special Bank Bond paper and authorized by “The American Bank Note Company.” Huh? It seems that back in 1913 the United States was short of cash. 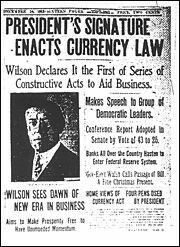 World War I had depleted the treasury and there were several really bad financial panics — in 1907 especially — so the country needed to print more money than it had as equity to restore confidence in the money supply and get the economy back on its feet. When you or I need more money, we use something as collateral and go to a bank for a loan. When a country needs more money it has to go somewhere also. But in 1913 there wasn’t anywhere to go. So the US created the Federal Reserve Act. This established a private central bank (The Federal Reserve Bank) that would regulate the amount of money the US government was allowed to borrow and put in circulation. It also would expect to be repaid, like any bank, with interest. After only 20 years things went from bad to worse. During Franklin D. Roosevelt’s presidency, in 1933, the US was unable to pay its debt. The county was bankrupt. The private banks that made up the Federal Reserve demanded their money and Roosevelt responded. He had to use the only thing left of any value to pay the banks and continue doing business with them — the citizens of our country. Us! This kind of makes you feel a little different when you look at Federal Reserve Chairman, Bernanke, doesn’t it? 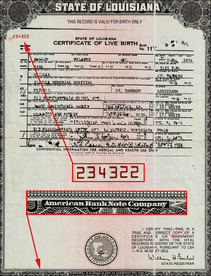 OK. Let’s take a pause to look at the Birth Certificates [below]. You will see the red numbers and you will see the fact that it is, in reality, a “Bank Note.” Congratulations — you and I are commodities! Since the early 1960s, State governments have issued Birth Certificates to “persons” with legal fictional names using “ALL CAPS” names. This is not a lawful record of your physical birth, but rather the acknowledgement of the “birth” of the juristic, all-caps name. It may appear to be your true name, but since no proper name is ever written in all caps (either lawfully or grammatically) it does not identify who you are. The Birth Certificate is the government’s self-created document of title for its new property — you and me! In a way, it makes us a kind of corporation whose company name is the same as our real name, but written in ALL CAPS. This “corporation” then generates taxes and wealth over its lifetime and in this way repays the collateral that Uncle Sam borrowed from the Federal Reserve. Remember that “Bond” thing printed on the bottom of the certificate? Bond. I a: A usually formal written agreement by which a person undertakes to perform a certain act (as fulfill the obligations of a contract) . . with the condition that failure to perform or abstain will obligate the person . . to pay a sum of money or will result in the forfeiture of money put up by the person or surety. lb: One who acts as a surety. 2: An interest-bearing document giving evidence of a debt issued by a government body or corporation that is sometimes secured by a lien on property and is often designed to take care of a particular financial need. — Ibid. — Merriam-Webster Dictionary of Law (1996). THE ABUNDANCE OF “NEW” THAT IS WAITING IN THE WINGS! GET BUSY LEARNING ABOUT YOUR PRESENT ENSLAVEMENT AND THEN, WHAT COULD BE! Little do we know that as we cling to the old, we are actually assisting our slavemasters to maintain control over us! 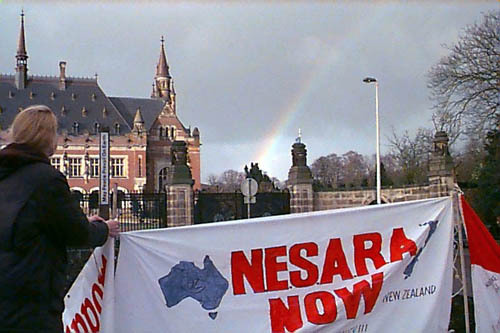 Demonstration for NESARA in front of the Peace Palace, Hague, Netherlands – early 2000s. Filed under: Birth Certificate, FEDERAL RESERVE |	Comments Off on YOU DON’T OWN YOURSELF – THE FEDERAL RESERVE DOES. WANT TO KNOW WHO OWNS YOU & YOUR CHILDREN? FOLLOW THE DIRECTIONS ON THIS SITE.